Very often, national histories are constructed through mythology and Georgia is no exception in this regard. Rather opposite, often we are exaggerating the country’s glorious past. Welcome to Heinrich Boell Foundation South Caucasus's feminist web-site! This platform will be exclusively dedicated to our gender democracy projects.Gender democracy is one of the basic principles of Heinrich Boell Foundation. The concept postulates equal rights, opportunities and access to resourses for all members of society. We proudly present the materials, which have been collected during our work in South Caucasus region and which will be constantly updated. 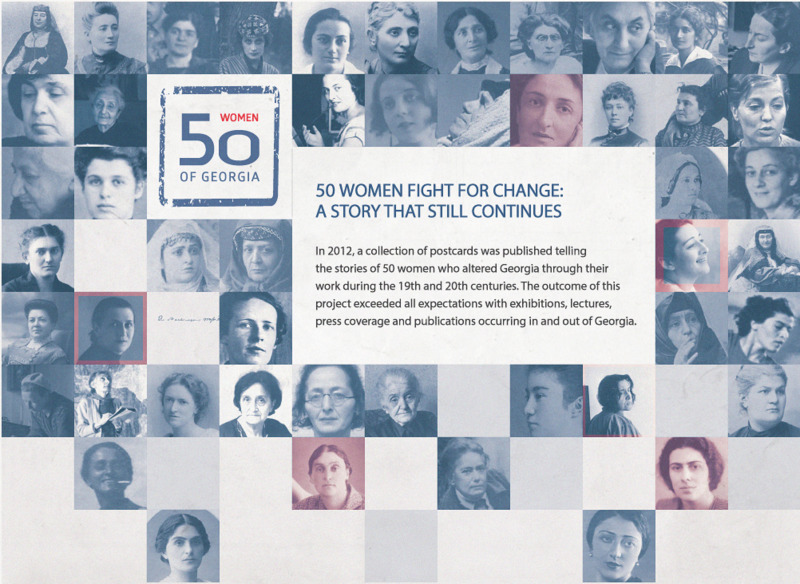 Over the last thirty years woman’s identity in Georgia has undergone significant change and this transformative process has not yet been completed. Significantly this shift was predetermined by a corresponding radical revision in the global economic and social paradigms. As it happened in many other countries, women in Georgia had to leave their traditional social roles and alongside men take active part in the capitalist labor marketplace. The political party of the revolution leader Nikol Pashinyan – the Civil Contract – was founded in 2015, and it did not even mention the rights of LGBTI in its founding documents and programmes. Woman Presidential Candidate - one step forward, two steps back? If such female candidate will become a president, it will burdensome women's engagement in politics. Full article is only available in Georgian. Why do the politicians think, that women voters needs are specific issues that is beyond the qualification of the Presidential candidates? Full article is only available in Georgian. Ani Gogberashvili is the founder of the initiative group “Women’s Voices”. She works on a project regarding the needs of single mothers of disabled children in Georgia. Anna Dziapshipa has an experience and professional biography in art history, film producing, cultural management and experimental video. She is co-founder of documentary film company SakDoc Film. 1872-1922 / Poet / Philanthropist. Aneta Dadeshkeliani wrote poems and published them in the contemporary press. She was in involved in the work of the Society for the Spreading of Literacy among Georgians and took part in their activities. 1838-19?? / Biologist. Julia was born in Lagodekhi, Georgia in 1872, in the family of famous naturalist Ludvig Mlokosevich. She has contributed to establish the Lagodekhi reserved territories.